One thing that most people can agree on, when it comes to the Holidays, is the the smells are amazing. When you walk into a home and the holiday smells surround you, you’re instantly taken back to your favorite fall and winter memories! We say take advantage of that and enjoy it for all it’s worth! But definitely stay away from those toxic air fresheners and dangerous candles. Always choose the natural and safest options for you and your family to create that holiday atmosphere easily and naturally at home. However, because you’re busy, we don’t want you to feel like you need to bake all day to make it happen! Instead, here are a few simple ways to cheat the process, to keep it easy, safe and just as delicious! Water to fill to about 1 inch below the rim. (You could also use apple juice or cider!) Place your pot on the stove and set it to simmer. Soon, your house will smell like the joyous season you love! And the bonus, is you can absolutely enjoy it as a tea! Just sweeten as needed! Cinnamon: Place cinnamon sticks in little jars around the house. You can toss a couple cloves, rosemary and even sprigs of fir to the mix for an added fragrance boost. Tie a gold or scarlet ribbon around the jar and you’ll finish it off with style. Clove: Diffuse clove oil in an essential oil diffuser. Coffee: Keep small dishes of coffee beans near your doors and walkways to keep a feeling of warmth and freshness around. Orange: As you use oranges in your meals, throw the peels in the garbage disposal for that citrus burst in the home. You can also add oil of orange to your diffuser with the clove for the balanced smells. 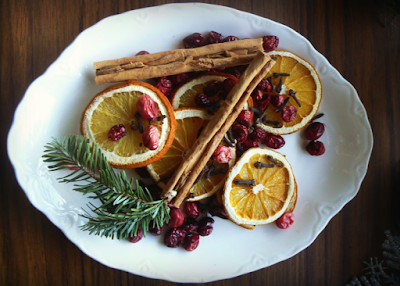 It’s easy to set the mood for the holidays with the natural smells of the holidays. It’s about combining sweet with spicy and warm. At Eurospa, we know the importance of fragrance; it’s our business. We make the highest quality Eucalyptus oil products available, because quality fragrances have a therapeutic power that heals, inspires and restores. Always choose the best options for you and your family. Stay away from toxic room fresheners and create that holiday atmosphere easily and naturally at home.